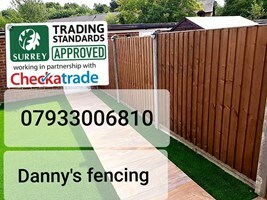 Dannys Fencing - Fencing/Gates, Landscaper based in Ash, Surrey. We cover all aspects of fencing and gates & with 23 years experience. Fully insured. Free quotes & advice.